How we helped Snapp gain and retain The Economist as a client. Enhancing a product agency offering with UX services. UI concept for The Economist Radio multi-platform app. While working with Snapp, Matt worked as the designated UX designer on 4 app projects for The Economist. Served as Director Director at Trustpilot, and redesigned their app When.in. Snapp is a digital agency that creates their own proprietary products and digital services for clients. When I engaged with them, they already had a small, remote product team, but were lacking someone with UX skills and experience in user-centred design. They were aiming to pitch for larger projects, which would require having a dedicated UX designer working along with them. So I formed a partnership with Snapp to utilise Simple & Pretty as their 'internal' UX team. I embedded into Snapp’s team, working on fixed-rate projects, so Snapp could more easily quote and deliver, on time and budget, to their clients. This enabled Snapp to utilise me for multiple projects, without the risk of committing to more permanent roles for their team. I adapted to their workflow and processes, working collaboratively using their online tools and participating in remote team stand-ups and frequent project meetings. During projects, I worked in the open, with all documents in Snapp's Google Drive, so other team members could comment and collaborate as we worked. Throughout all stages of each project, I stayed in constant communication with Snapp's developers. This allowed us to quickly iterate and solve problems with minimal time and effort. I avoided the creation of lots of time-consuming documentation, by instead relying on sketches, prototypes and mock-ups and lots of collaboration. Armed with a Snapp email account, I operated and communicated with clients in all channels and meetings, acting as their UX team, representing Snapp at all times. I attended project meetings remotely and in person, as required. There was no difference to the client. I enabled Snapp to easily scale up its team and offering, as required, without the cost and risk involved with building out their own UX team. A rapidly created, cross-platform app for listening to The Economist Radio. Transitioning The Economist's Magazine iPhone and iPad apps to a universal iOS app. An app that delivered a bi-lingual weekly business magazine for English and Chinese speakers. A new daily mini-magazine app, designed to reach a younger audience. How we helped Trustpilot to redesign their platform, internally. 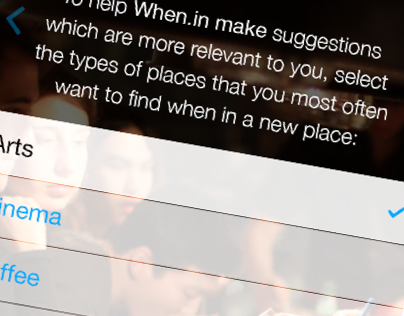 An app to help exploring new places, by doing as the locals do. How we helped OCN envisioning a functional medicine digital approach to treating chronic conditions. How we helped Mullvad to redesign their cross-platform VPN apps. How we built a pair of iPhone apps for helping freelancers with their bookkeeping. How we helped Bullet News improve their customer experience across multiple channels.